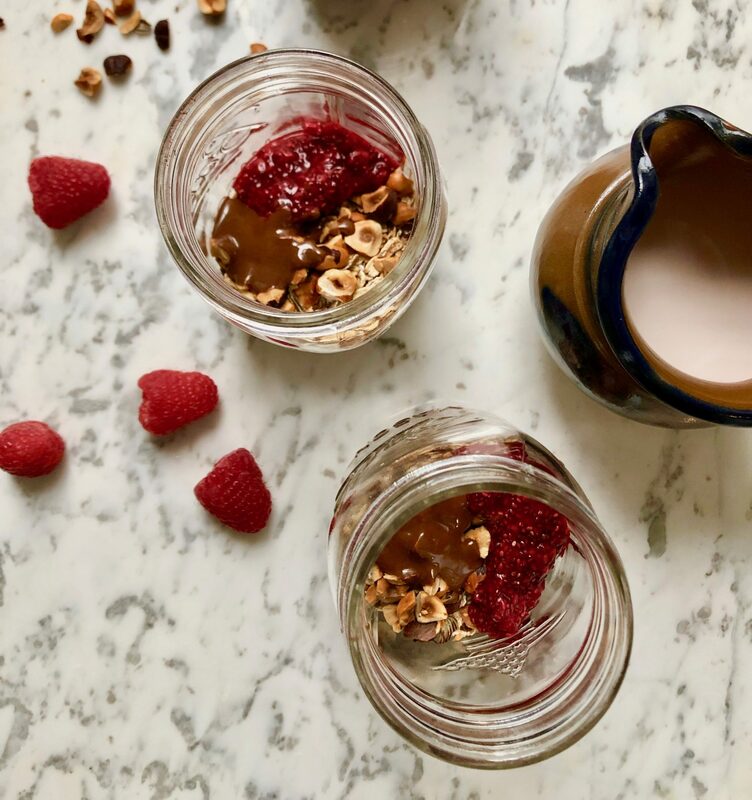 If you’ve checked out my recipes before, you probably noticed that I love overnight oats. They are endlessly versatile and you can make them a little decadent or keep them super healthy. This recipe is a nice balance of both! The raspberry-chia jam provides just the right amount of sweetness, without hardly any added sugar. And the chocolate-hazelnut spread makes me feel like I’m getting a super awesome treat first thing in the morning. You can use the hazelnuts without toasting them, but it really brings out their flavor. Just put them on a baking sheet and bake them at 350° for 6-7 minutes, until fragrant. Also, don’t forget that if you are an FLR VIP, you can get a discount on hemp and chia seeds from my brand partner Nutiva! Get 4 lidded jars ready to go; set aside. Combine the oats, hemp seeds, salt and cocoa powder in a large bowl. In a small bowl, mash the berries. Stir in the chia seeds and the maple syrup. Into each jar, spoon 1 tablespoon of the chia jam. Top with 1/2 cup of the oat mixture. Add 1 tablespoon, plus 1 teaspoon chopped hazelnuts. 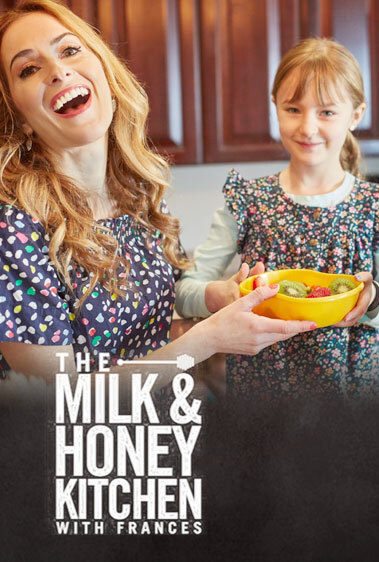 Add 1/2 cup of milk to each jar, place the lids on top and transfer to the refrigerator for at least 3 hours or overnight. Cover the remaining chia jam and place in the fridge. To serve, open the jars and spoon another 1 tablespoon of the jam inside. Drizzle 1 tablespoon of the warmed chocolate hazelnut on top. Add some fresh raspberries and enjoy!